From the love and passion of Ms. Kristine Lucas in makeup, Permanent Makeup Academy PH was born. Ms. Tin Lucas gave up a promising career in the IT world to do what she loves most, make people more beautiful. She believes "Everyone is Beautiful.” And her passion is to enhance that beauty and bring it to the next level" She trained from well-known Makeup and Aesthetics Training Centers here and abroad, in the US, Singapore, Korea, and Thailand . 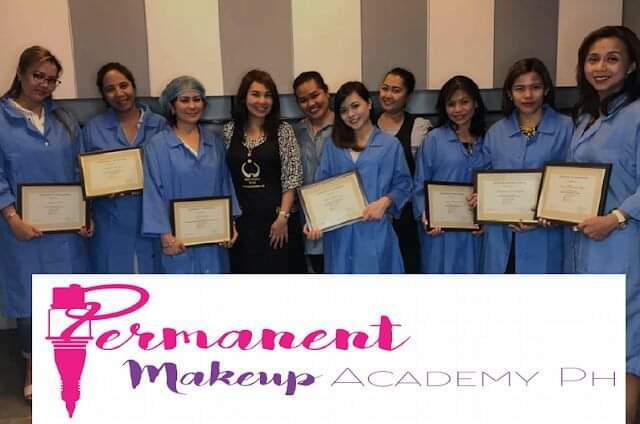 Today, In less than 2 years time, Permanent Makeup Academy PH (PMUAPH) is the most sought after training center for aspiring makeup artists for permanent makeup,eyebrow embroidery and aesthetics training here in Manila and elsewhere in the Philippines. PMUAPH has grown tremendously and has produced hundreds of new artists, freelancers and leaders in permanent makeup, eyebrow embroidery and aesthetics. More and more aspiring artists and students trust not only the pioneers but also the best in quality aesthetic training -The Permanent Makeup Academy PH. At present, Permanent Makeup Academy PH is the authorized reseller of high quality permanent makeup products such as Biotouch USA, Dolly Lashes, and Doreme/Physiolab. It has branches in Makati, Alabang and Las Pinas. Kristine has long been teaching permanent and traditional makeup. Her passion for teaching became her mission and paved the way to The AestheticsStudio by Kristine Lucas She was trained from well-known Aesthetic Centers here and abroad by the likes of Aesthetics International Academy, Kryolan, Biotouch and Yumi Lashes. Emily Fernando is an advocate of being, she retired early from a lucrative corporate job to give way to what she really loves doing – make other people beautiful! Vannie is creating a name in the industry thus leaving her extremely busy with makeup gigs – debut, wedding, private and corporate events. Her passion in makeup helped her to earn more and been able to focus on a lot of things that she really likes best where she said she can get instant gratification, genuine camaraderie and endless learning. Joan is the Branch Manager and Senior Therapist at The Aesthetics Studio by Kristine Lucas. For more information about PMUAPH, please visit theirwebsite, https://www.permanentmakeup.ph/. To learn more and to get the latest trends and tips in makeup, follow their FB page, https://www.facebook.com/permanentmakeupacademyph/.